Protect your anilox rolls with our robust sleeve covers. It is a well-known fact that most of the damage occurs when moving anilox from the storage system to and from the press. 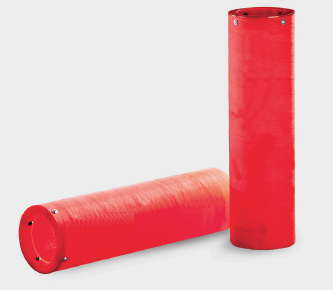 We supply a range of sleeve covers to protect the anilox in transition, a hard-wearing fibreglass design are made to survive an industrial environment. The sleeve includes an end ring which protects the anilox where they are most vulnerable whilst in storage. The end rings can be colour coded for easy reference.